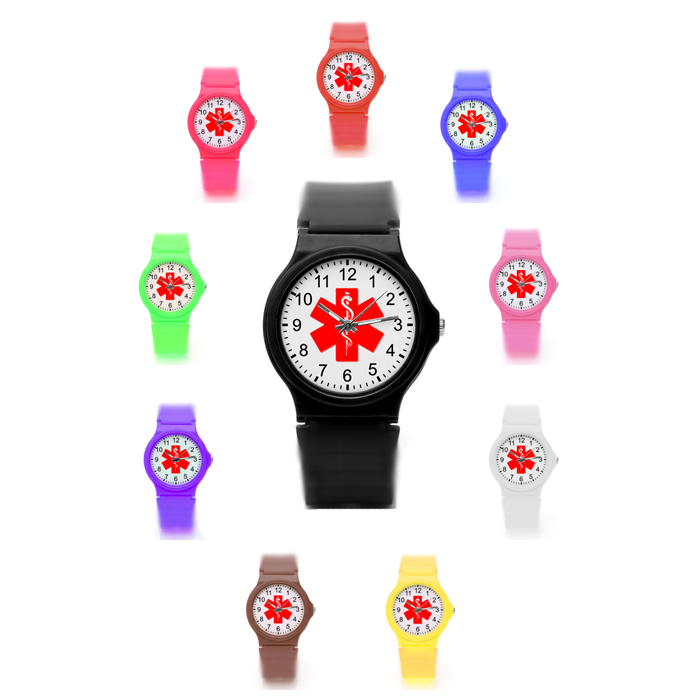 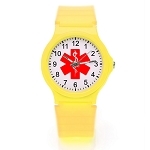 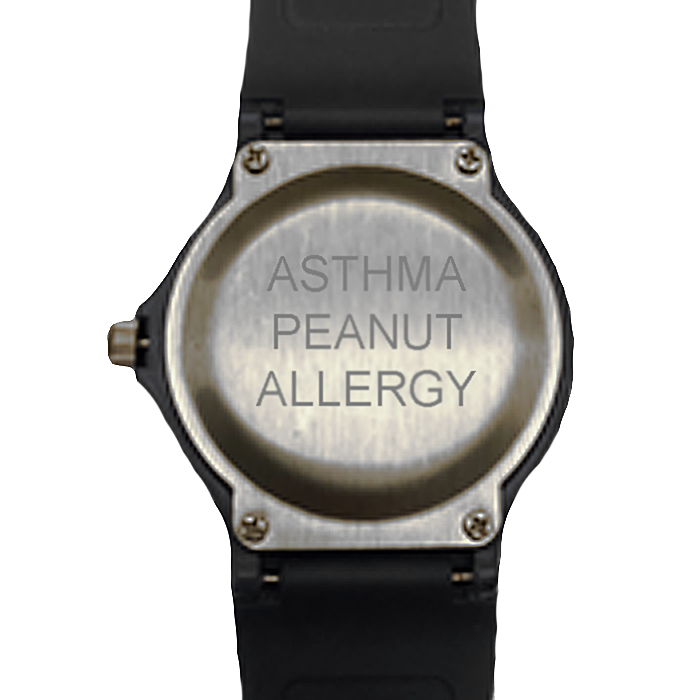 Cool and stylish kid's emergency medical ID watch with medical symbol displayed on dial. 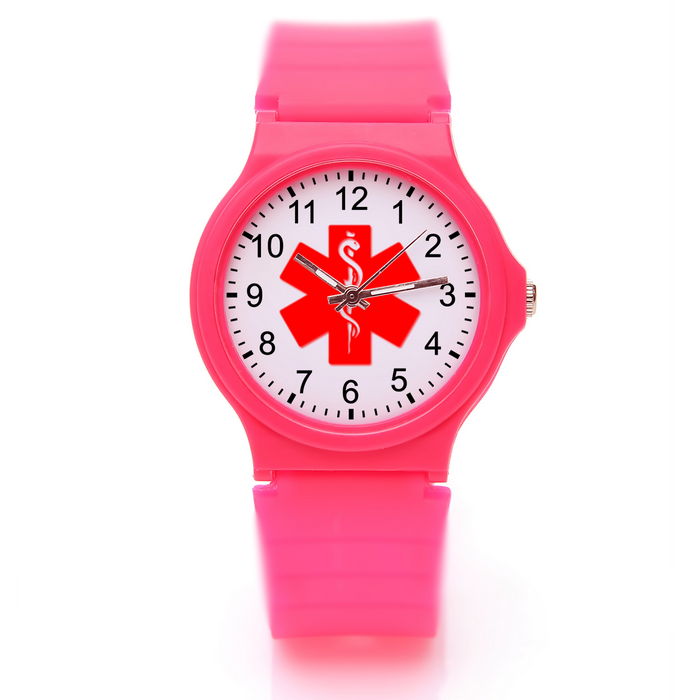 Made for kids, but the adjustable strap fits most adults too! 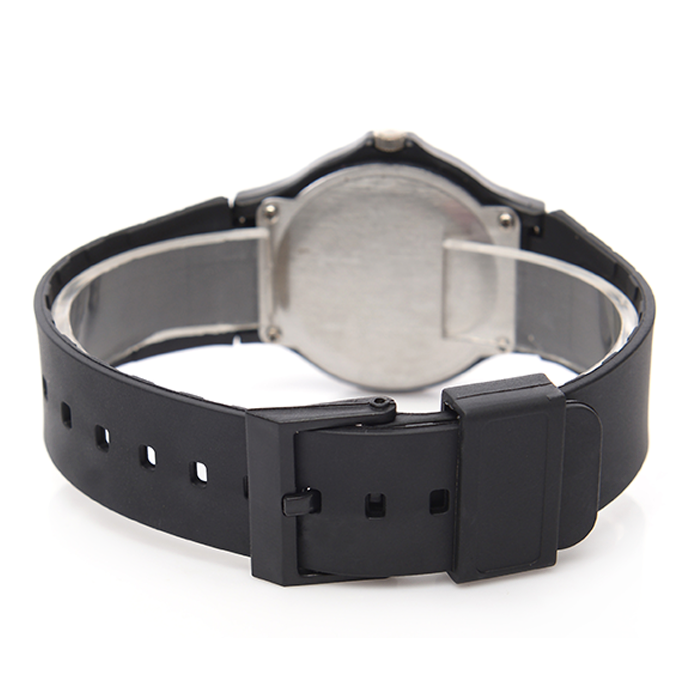 Silicone strap with stainless steel caseback. 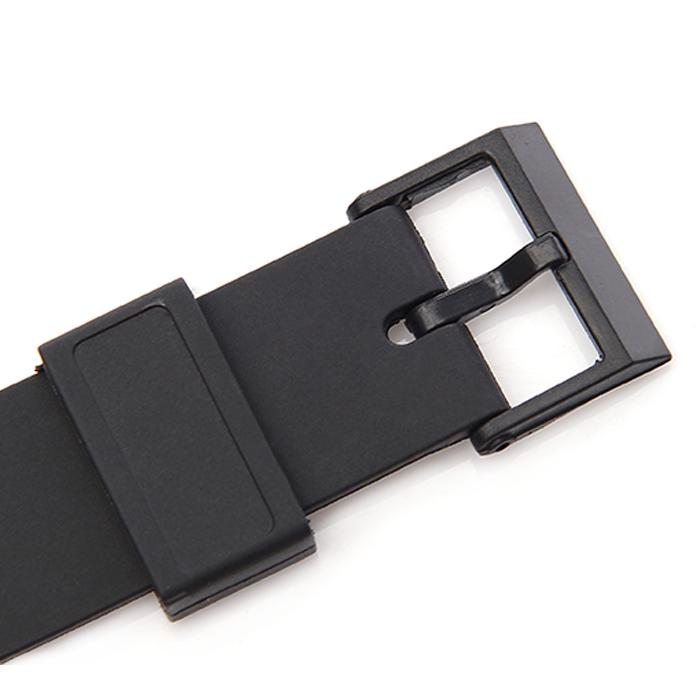 Case is approximately 1 inch diameter. 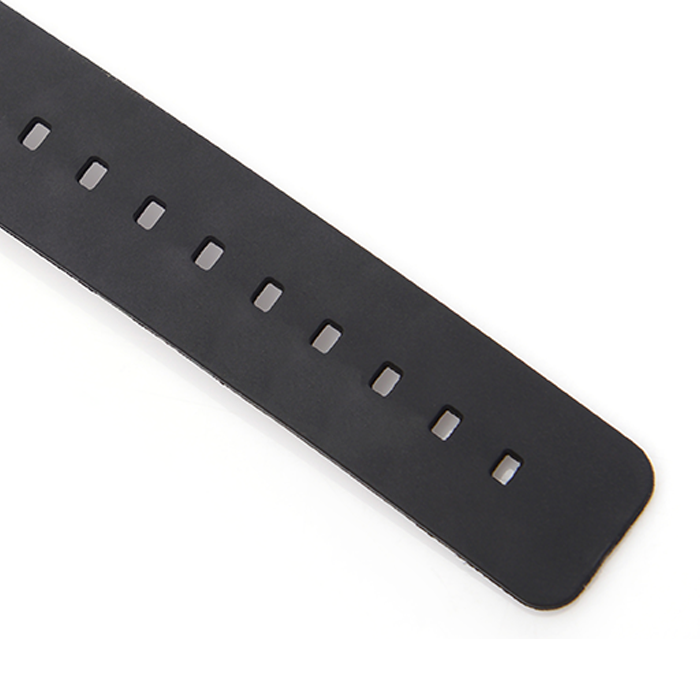 Watch band is 9 1/2 inches in length by 3/4 of an inch wide.